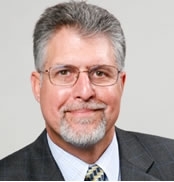 As a principal owner and Vice President of D & D Elevator, Michael brings with him a vast, widespread knowledge and understanding of the elevator industry. Every day he brings this expertise to all aspects of the D & D business, whether it is working with engineering, new business development, sales, modernization and/or the new construction staffs. Michael uses his extensive communication skills in every aspect of the business and enjoys the challenges that this industry brings his way. He feels that “one-on-one meetings are most effective way of communicating and solving any problem.” In every phase of the business, he is very hands-on in assisting and solving any concern, whether it is working with customers, consultants, engineers, architects and any of the many employees. Starting from the ground up, Michael first entered the industry as a helper and later as a mechanic with “the family business,” Archer Elevator, an independent New York-based elevator company that schooled him in the “basics.” As a mechanic, Michael moved on to American Elevator in California, where he began honing his business skills. When American Elevator was purchased by Otis, he seized the opportunity to return to the northeast, to Boston, working as a mechanic on such iconic properties as Charles Square and Polaroid Headquarters. From there, Michael’s career progressed via an escalating series of executive positions, including Para-Manager & Operations Coordinator for Archer Elevator, Sales Manager for Mainco Elevator, Safety Manager for ThyssenKrupp Elevator Company and Regional President for ThyssenKrupp/New York. As the president of ThyssenKrupp/New York, Michael was responsible for all the New York area branches, encompassing over 8,000 elevator and escalator units and the overall well-being of 500 employees. He had authority and decision making responsibility for all of the departments including but not limited to, accounting, sales, safety, and operation departments. Also, he oversaw all the branch, repair, modernization and new construction managers and mechanics. On a continuous basis, a major concern for Michael is with the safety of those in the field and fellow employees. Also, he particularly enjoys the challenges of problem-solving and personally vesting himself in the process. He is happy to have returned back to his ‘roots’ working with an independent elevator company. Michael majored in electrical engineering at Rockland Community College. He has service on the Board of Directors for the National Association of Elevator Contractors and is a member of the Bronx Manhattan Realtors and the Bronx Chamber of Commerce.